Fig. 1. 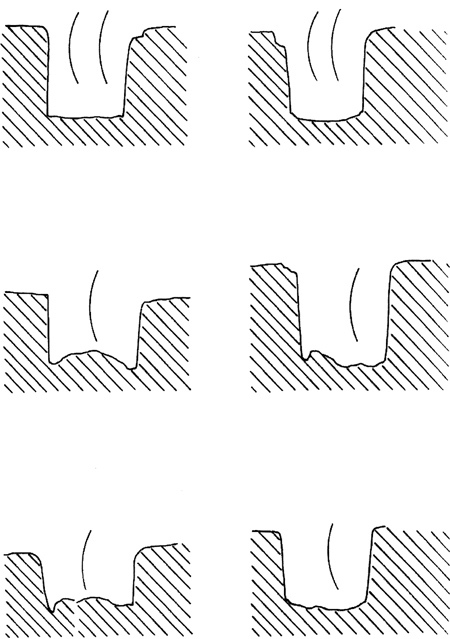 Sections of three borings for mortises in the bathing slab at Tiryns (after Küpper 1996, fig. 104). Fig. 2. Layout of the seven units of the Tiryns dado (after Moser v. Filseck 1986, fig. 9). Fig. 3. 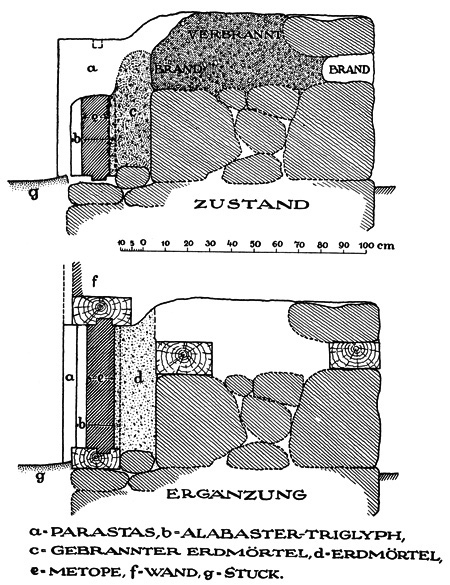 State and restored sections of the kyanos frieze in the vestibule of the Tiryns megaron (modified from Müller 1930, fig. 66). Fig. 4. Denuded north wall looking east (terracotta containers are missing in this 1974 photograph). Fig. 5. 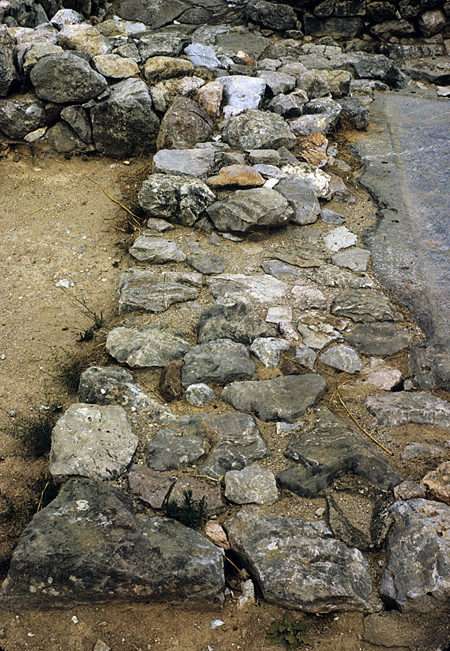 Exit channel for water in northeastern corner of bathing slab at Tiryns. 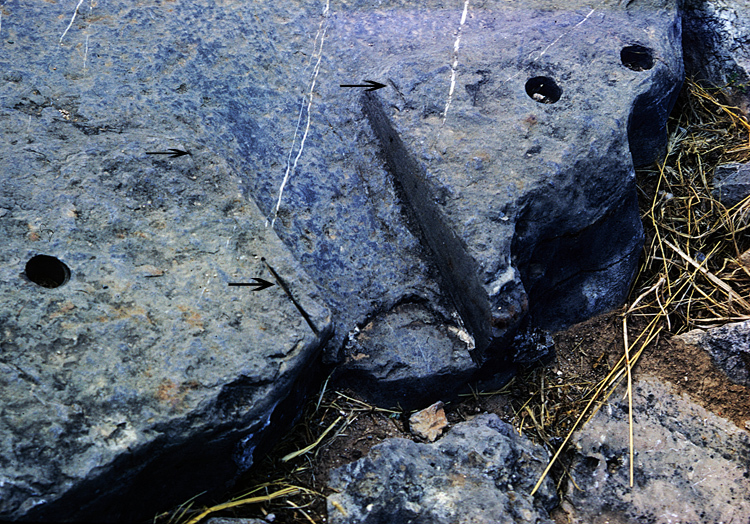 Note preliminary saw marks at arrows. Fig. 6. 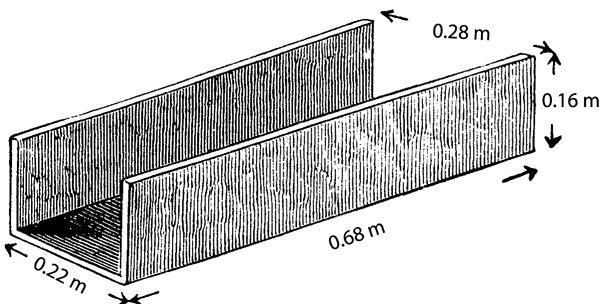 Terracotta drainage channel found in Room X, a light well (after Schliemann 1976, fig. 118). Fig. 7. Bathing area at Pseira in Building BC, Room 4 (modified from McEnroe 2001, pl. 11). Fig. 8. 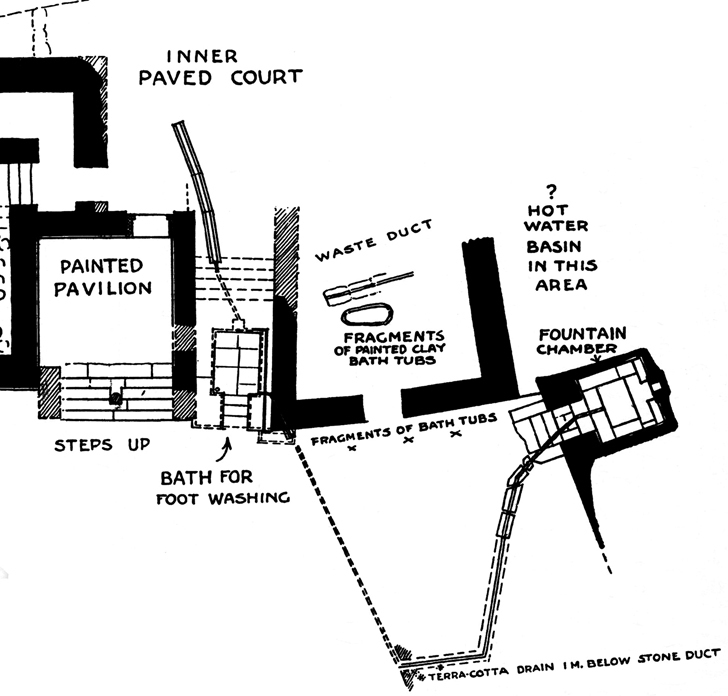 Portion of Caravanserai area at Knossos (modified from Evans 1928, fig. 48). Evans, A. 1928. The Palace of Minos. Vol. 2. London: Macmillan. Küpper, M. 1996. Mykenische Architekture: Material, Bearbeitungstechnik, Konstruktion und Erscheinungsbild. Internationale Archäologie 25. Espelkamp: Marie Leidorf. McEnroe, J.C. 2001. Pseira V: The Architecture of Pseira. University Museum Monograph 109. Philadelphia: University of Pennsylvania Museum of Archaeology and Anthropology. Moser v. Filseck, K. 1986. 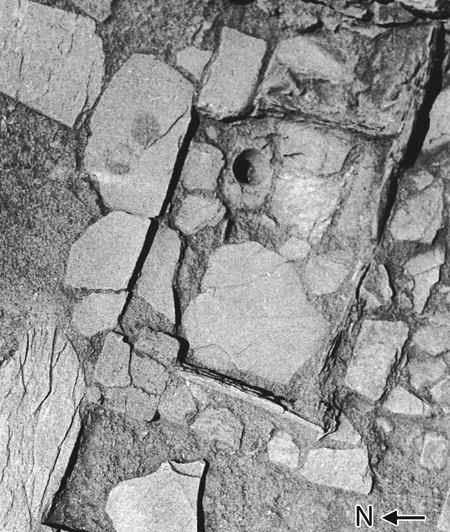 “Der Alabasterfries von Tiryns.” AA:1–32. Müller, K. 1930. Die Architektur der Burg und des Palastes. Tiryns 3. Augsburg: B. Filser. Schliemann, H. 1976. Reprint. Tiryns: The Prehistoric Palace of the Kings of Tiryns. New York: Arno Press. Original edition, C. Scribner’s Sons, 1885.